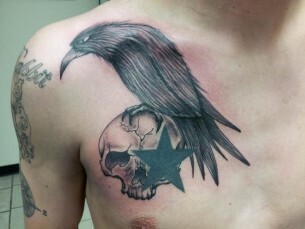 Crow tattoos are definitely among the most popular symbols. It is connected with ancient beliefs, in most part of which the bird is associated with slightly or completely dark forces. 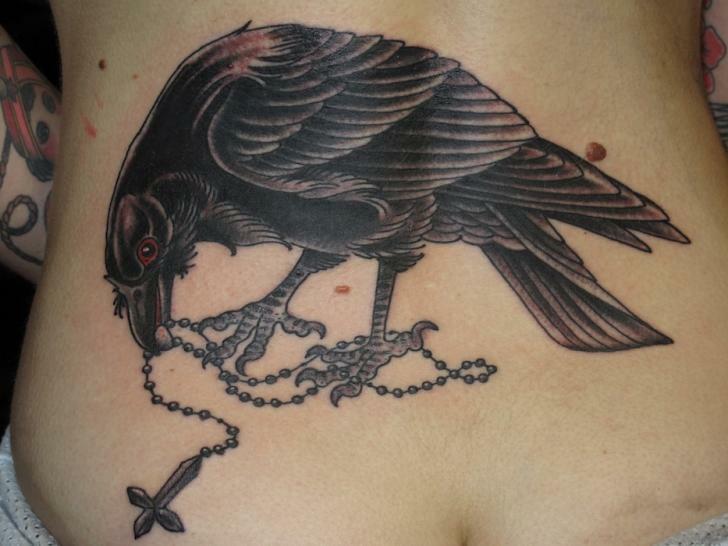 The crow or raven tattoo design is usually performed in a black and gray variant, other colors are added in on very rare occasions in order to give the drawing some extra meaning or draw more attention to definite elements of the design. 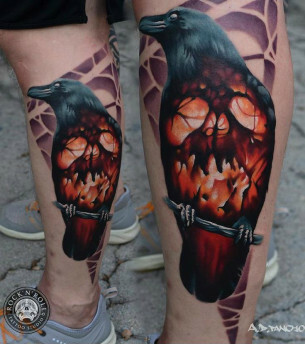 Such tattoos can be placed on a shoulder, chest, back and other parts of a body. Ancient Celts believed that a crow is one of the symbols of Evil and connected the bird with bloody satanic cults, magical rituals, and Morrigan, the Goddess of war and death. A crow is also a symbol of the wind and loneliness, according to the legend, which comes from the fact that this bird can live up to three hundred years old eating only carrion. Christianity treats this bird as the minion of the Devil himself, however, it also assists those, who had chosen a path of solitude and became a hermit. In Ancient Egypt a crow used to be the symbol of a devastation, aggression, and anger, and Scandinavian people believed that this bird accompanied their higher God Odin. According to some beliefs, raven serves a role of the messenger for the gods of the underworld, and in Russian fairy-tales, this bird is connected with magic, as it used to accompany warlocks, witches, and wizards. Such a negative treatment appears to be the truth for some people even nowadays, which is necessary to take into consideration before making a tattoo with this particular symbol. 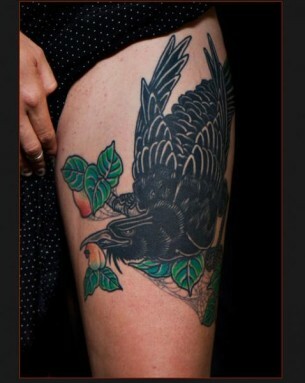 However, in spite of the all the darkness of the image, crow tattoos in some cultures have a positive meaning. In Ancient Rome, this bird used to symbolize hope as the noise a bird makes is similar to a Latin word “cras”, which means “tomorrow”. In Chinese culture, this bird is a symbol of the strength, commitment, and perseverance. This was a place where the legend of a sacred raven, which lives on the Sun and is responsible for its movement – the dawn, zenith and the sunset, was born. In Africa, a crow is connected with friendship and co-existence, considering it to be the best life guide for a man. Canadian Eskimo and American Indians reverence this bird as the Great Shaman and the primal ancestor, that’s why they worship it. 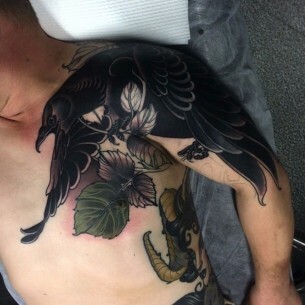 And in Japan, the bird is associated with household warmth and strong love. 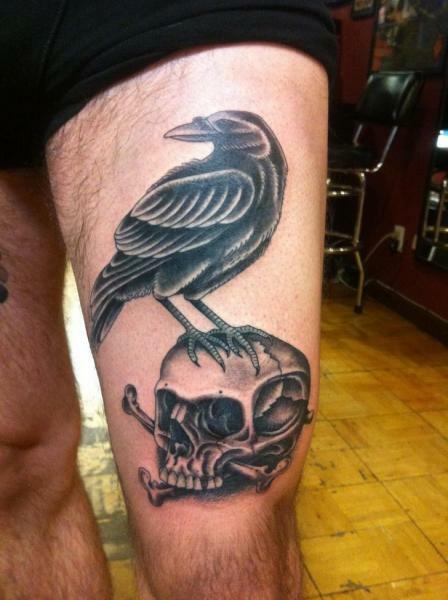 Nowadays, the common opinion is that a crow is the symbol of wisdom, long-living life, loneliness and arcane knowledge. 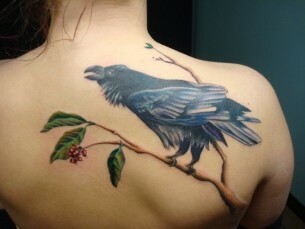 A crow tattoo can also mean the pain of a loss of some close soul. 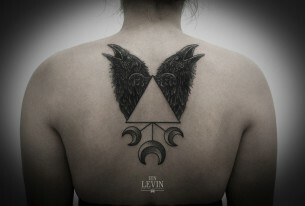 In spite of the huge amount of different points of view and interpretations of the symbol, the true meaning of the tattoo depends only on its owner. 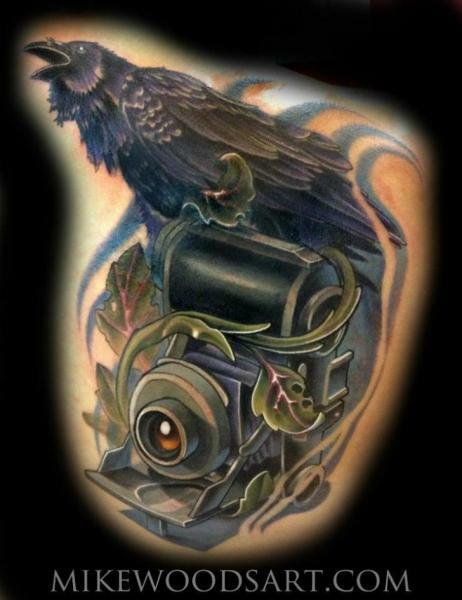 As your tattooist to create some unique crow tattoo design especially for yourself.